It is that time when tax time is right around the corner. As each year passes, it seems to come quicker each year. 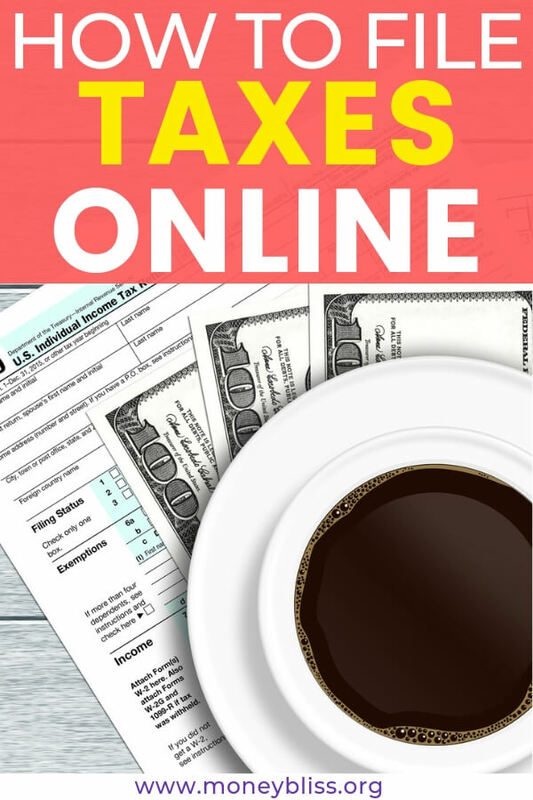 Ready to dig in and learn how to file taxes online in one afternoon? Sooner or later, it will have to happen. And as much as I hate it…the sooner I file taxes, the better. On one afternoon, I will set aside time to file taxes online. It is the time I pull out the tax folder and dig right in. I dread doing taxes just as much as the next person. It is not my favorite thing, but I am obligated by the government to complete them on time and with accuracy. And the bonus part, I should have a small refund coming my way! If not, at least I know my tax number. Too many times we get overwhelmed by the task of completing your tax returns yourself. Below you will find step by step instructions on how to file tax returns using online tax software. If you are used to hiring someone, you still need to complete 2 out of the 3 steps anyway. 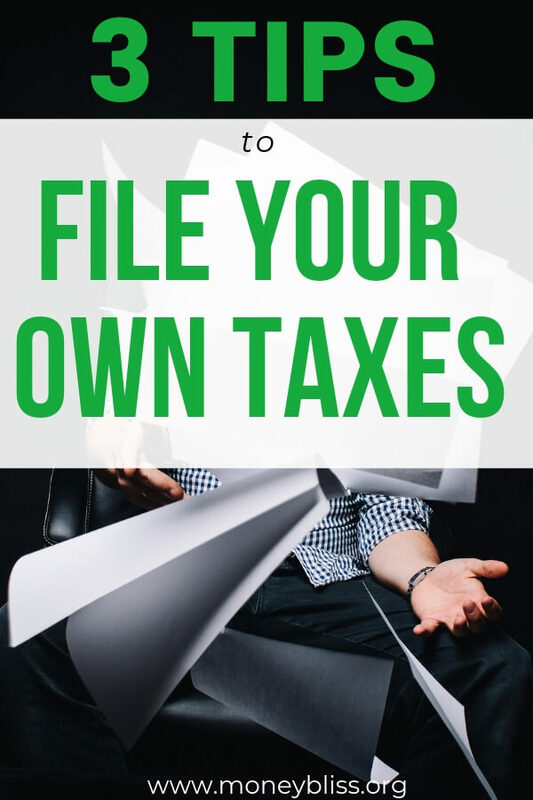 Learn how to file your own taxes. 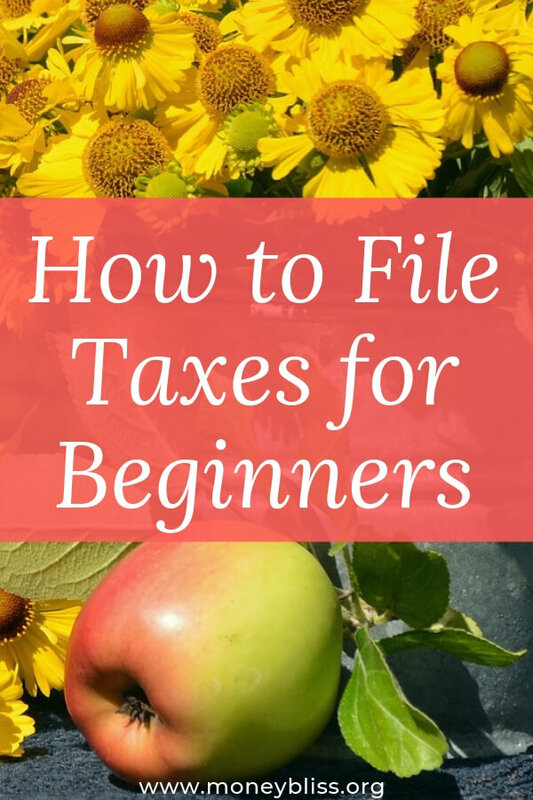 So, let's dig in and learn how to file taxes quickly and efficiently. Why You Need to File Taxes? The blunt reason… Because the government tells you to do it. No matter how hard you try to hid from it, the IRS will always come and find you. Then, you will be hit with so many penalties and interest that you wonder why you never filed in the first place. Now, for the honest reason, to pay the actual amount of taxes you truly owe. The IRS uses a tax table to determine what each person owes after you account for their income and their deductions. Throughout the year, most of us pay an “estimated” percentage of our income in the form of payroll withholding or self-employed quarterly tax. Once a year, it is time to reconcile those estimated taxes to actual amount due. And in many cases, you may be due a tax refund! While there are a million and one loopholes in the IRS tax code, for the average person, it is completely possible to file taxes online. In fact, many of the companies make it simple and have a a help desk waiting for your questions. The true key to success in filing your taxes online is to complete it quickly. The longer you doddle on getting your taxes filed, the longer you stress over it. So, we are going to teach you how to get your act together today and file taxes online. This is probably the most time consuming step. Throughout the year and especially when tax documents start being mailed, create a separate folder to hold all tax related information. For actual tax paperwork that is mailed, I keep the paperwork in this. In my effort to go digital and paperless, we upgraded to our own personal cloud. Once you have your tax information organized, it will help you input your information and numbers faster. W-2 – What is a W2 Form? 1099s – What is an IRS 1099 Form? The IRS will began accepting returns on Monday, January 28, 2019. To get ahead for next year, read How to Organize your Personal Finances in 8 Simple Steps. Seriously, tax software makes the process of filing taxes so simple. I am so thankful for companies like TurboTax or H&R Block. The calculations happen automatically with guided questions. Then, the ability to file online and refund checks come within days. Personally, I have used TurboTax for years – pretty much 20 years now. Obviously, I like their system or I wouldn't have used it for so long. Their process makes filling taxes easy and seamless. It is like they are hand holding you through the whole process. TurboTax software will walk you through each section of your tax process with Yes and No questions. If you aren't sure, they have a help button right there to find more information. No need to sort through tons of support pages to find your answer. TurboTax guides the process of filing taxes online. The most common feedback once people have switched to TurboTax is they learn how many deductions that they were not taking advantage of on their taxes. That is money that could have been used for something else. Also, they realize how to save money in the future by learning what is deductible, what is not, and what you get taxed on. After completing their taxes online, many people comment how much easier the process was and happy they completed them on their own. **If your personal situation is extremely complicated, I recommend going to an accountant to file your taxes. Be wary of the tax shops that pop up just for a couple of months. Ask for referrals to find a reputable accountant. The good news for most Americans…TurboTax is capable of preparing returns based on many variables with all of their TurboTax products. Simple tax return? Check this out…Start by snapping a photo of your W-2, answer easy, non-tax questions about your life and we'll help you get your maximum refund, guaranteed. The final step before pressing submit is checking for accuracy. I know, I know…you are so excited to finally be done and know your refund number (or your tax owed). All you want to do is to press submit and file. Take a break from looking at numbers and a computer screen. Another reason I like using TurboTax, they have integrations and you can upload your documents automatically. Now, they even introduced a snap a picture to capture your information. Both of these features will help improve accuracy. I was pregnant (and horribly sick), so I wanted to get the taxes done. I hurried through and did not check my numbers for accuracy. Fast forward and we got a notice from the IRS and we owed money. WHAT?!?! I went back through our file and found I transposed a number. A simple small mistake. Thankfully, we owed a small amount, but it was my lesson learned. Take the extra 15-30 minutes and check your numbers for accuracy. If possible, have another person look over the numbers. Filing taxes shouldn't be a momentous task! 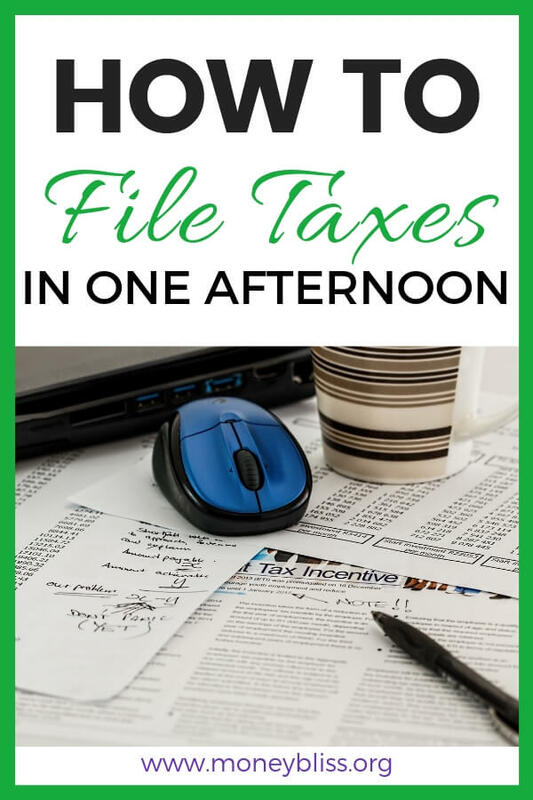 It is completely possible to file taxes in one afternoon! Get your files ready and start importing the information! It is so simple to file your taxes online with TurboTax. Filing taxes must happen and before the April 15th deadline. So, go ahead and get started today. I highly recommend using TurboTax. It has made the process of filing our taxes simple and easy. With the above steps, it is possible to complete your taxes in one afternoon. Make sure you know the Simple Ways NOT to Spend Tax Refund. No worries TurboTax has you covered! Check out these two helpful articles Beginner's Tax Guide for the Self-Employed and Top Tax Write-offs for the Self-Employed. Limited Time Offer: Save $20 on TurboTax Deluxe, now only $39.99.